ITHACA, N.Y. — Cancer robs many lives, and the pain caused by that loss is no less devastating when that life is an animal. Cancer in dogs is quite common, and Cornell University is one the leaders in canine cancer research. "We have our veterinary oncology department in the hospital, where we work to understand cancer in both dogs and cats, and then we have a variety of researchers on campus that work to understand the basic biology of how cancer develops," said Dr. Kelly Hume, Associate Professor/Veterinary Oncologist at Cornell. "Then we have a relationship with a medical campus in New York City in terms of how we can use what we know and what we're studying about cancer in people to help dogs and back and forth as well." 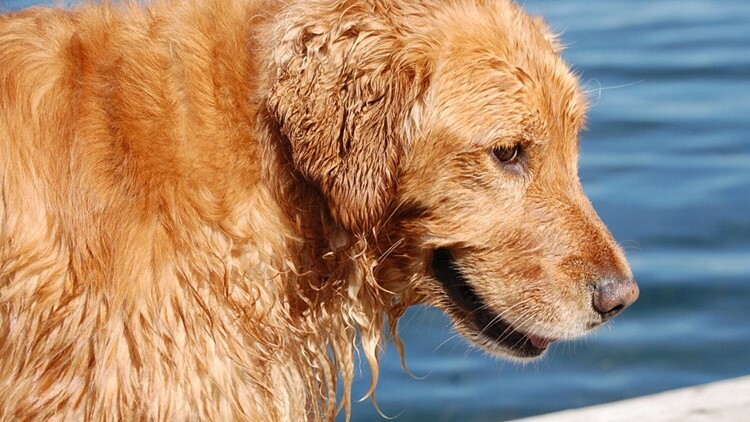 Golden Retrievers are one of the breeds most susceptible to cancer. The increased attention to canine cancer may reflect their growing importance in our daily lives. Sixty-eight percent of American households live with a pet, and that includes almost ninety million dogs. "The role of pets in our lives and enriching our lives is definitely helping to sort of increase the support for research on their diseases," Dr. Hume said. "But I think equally important is that we're sort of recognizing that because those animals live in the same environment as we do, that is also such an opportunity to learn about things relative to us as well." One of the most aggressive forms is Hemangiosarcoma. It's unique to dogs but can also be found in cats, and it's particularly deadly. Often by the time it's diagnosed, it's too late to treat. The Baker Institute at the university is dedicated to research in this field. Dr. Scott Coonrad is Professor at the Baker Institute. "There's not many people that research Hemangiosarcoma because, even though it's fairly common, it's not as common as Lymphoma in dogs, for example," he said. "Fortunately it's not a very common disease in humans, I think only a few hundred people get the analogous disease, so there's very little human research in this area." The Cornell research is crafting a hopeful future. They are close to isolating a biomarker in the blood that could reveal the disease in it's early stage. "It would just be a molecule circulating in the blood that most likely is arising from the tumor, or is in response to the tumor," Coonrad said. That discovery would bring much needed knowledge to families dealing with this devastating disease. "The owners may decide to put the dog down because they think it's Hemangio, but it may not be," he said. "So if there was this really rapid sort of biomarker it would be a really big advantage for the clinicians and for the owners to get some peace of mind, at least knowing what their dog has." For more information on Cornell's research, click here.